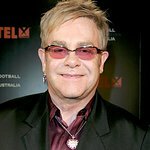 Elton John will hold his annual Elton John AIDS Foundation Winter Ball on October 30 in London. Last year’s unforgettable night of style and character featured a star studded collection of celebrity and social guests, including Elizabeth Hurley and her husband Arun Nayar, Sam Taylor-Wood, Tracey Emin, Kevin Spacey, The Saturdays and many others. For one night only the Great Room of Grosvenor House was transformed into the Grey Goose Hotel du Palais, showcasing the timeless glamour of Biarritz and the Atlantic coast during its heyday. Guests sipped bespoke Grey Goose cocktails created by three of the world’s greatest talents from the bar world including international cocktail legend Dale DeGroff of New York’s famous Rainbow Room, drinks expert Tony Conigliaro and award-winning bar entrepreneur Mal Evans to accompany the astounding character bar creations designed by chanteuse Lily Allen, couturier Roland Mouret and actress supermodel Lily Cole. These bars were auctioned in benefit of the Elton John AIDS Foundation on the night. Find more information on this year’s event here.